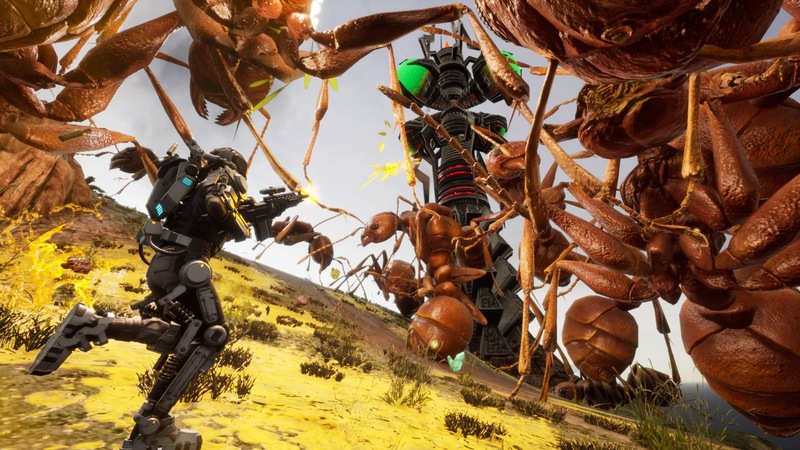 The upcoming Earth Defense Force: Iron Rain is generating a ton of hype, and PlayStation LifeStyle got a chance to have a chat with Series Producer, Nobuyuki Okajima about the upcoming game. At a recent preview event, we asked Okajima about plans for post-release content for Iron Rain, and it seems like it could very well happen. Seeing as how many games live beyond their initial release with lots of add-on content, we’re hoping this comes to fruition. He didn’t give any specifics about ideas, but based on his response, it seems likely that we’ll see extra content after launch. Iron Rain has a pretty robust mulitplayer mode that we could easily see having extra maps, items to acquire, and bosses to destroy. Along with that, the concept lends itself well to having extra missions or customization options to download to extend the longevity of the game. Whatever the case may be, Okajima stated that there will not be any microtransactions in any form, so the only paid content will be in the form of an expansion, if that ever comes to be. Are you looking forward to Earth Defense Force: Iron Rain? It’s out on April 11, 2019!